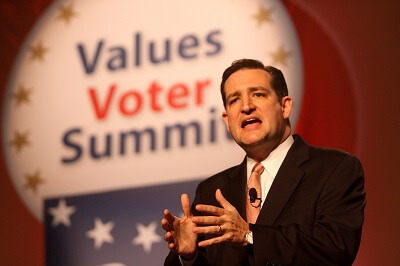 GOP presidential candidate and Texas Sen. Ted Cruz speaking to the Values Voters Summit in October 2011. Each of the 2016 presidential candidates has touched on how they'll make changes to fix Social Security. But relaying those policies to Americans in a comprehensive way has been a struggle. Among Republican caucus voters surveyed by AARP, 41% would like to know more about Sen. Ted Cruz's (R-TX) plans. 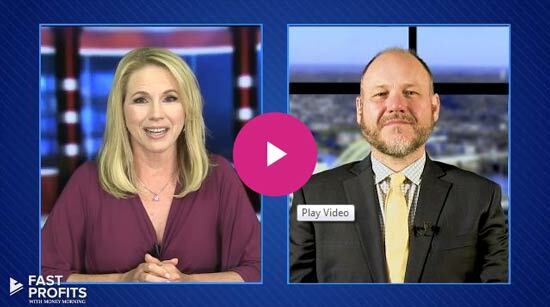 That's why Money Morning has taken an in-depth look at his proposed Social Security policy. "If I'm elected in November 2016, I hope to lead the effort to…preserve and strengthen Social Security and Medicare for decades going forward," Sen. Cruz told FOX News' Neil Cavuto on June 5, 2015. 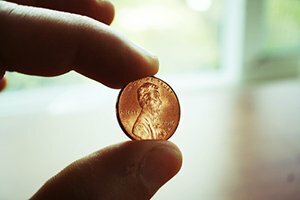 Raising the Social Security retirement age to 70 means future retirees will get smaller payouts than previous ones who collected at the same age. Cruz went on explain that he would like to see SSI reform to preserve entitlements, as well as a gradual increase in retirement age to 70. 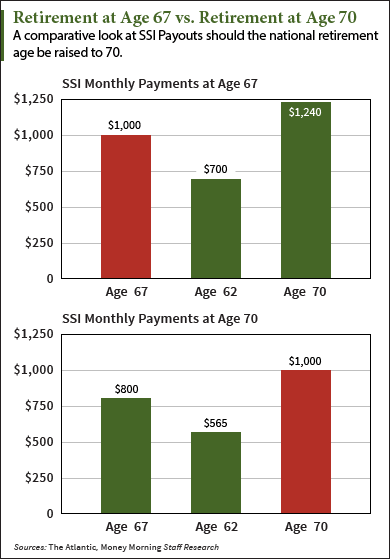 You see, currently participants in SSI benefits can start collecting at age 62, but they get a 6% boost to their monthly benefits if they wait until age 67 to collect. After 67, that bonus increases to 8% a year for each year until age 70. In total, that percent increase in monthly benefits between retiring at 62 and retiring at 70 amounts to a 44% difference. Sen. Cruz's proposal would therefore reduce a retiree's full lifetime Social Security benefits. It would shrink the SSI deficit. "Increasing the retirement age from 67 to 68 would erase 12% of the deficit that Social Security is expected to face 75 years from now," reported The Atlantic on Sept. 4, 2015. That's just a one-year addition to retirement age, however. According to a report posted on CBS Money Watch on March 12, 2015, increasing the normal retirement age (NRA) by three months each year until it reaches age 70 — Cruz's plan — would reduce the deficit 48% by 2032. The current SSI deficit averaged, and will continue to average, $77 billion between 2014 and 2018, stated Money Watch. After this point, the deficit is expected to increase dramatically as the number of beneficiaries continues to grow faster than the number of covered workers. There are many intricacies regarding Social Security that Americans just don't know or understand – and Congress has long kept the SSI code intentionally opaque to keep it that way. Several filing tactics that are available right now take advantage of the Social Security code. I am upset that anyone would call my Social Security an "Entitlement" I worked and the government took MY money from my paycheck to be paid back to me at a later age. It is MY money…I din't have a choice as to whether to give the government the money or not…….it was automatically taken from me. If I had a choice maybe I would have kept MY money owed to me from working and invested so I could take advantage of it later. IT WAS NOT A CHOICE!!!! This was something the government took from me and I expect to get it back. It is NOT an ENTITLEMENT!!! Social Secruity is NOT an entitlement. It is money we forcibley entrusted to the govenment to receive at a later age. Entitlement is what the governace gets and should not. They are people just like the rest of us and should not receive preferred treatment !! !